In this blog post I'll do my best to describe what is AAU basketball, who can participate, when the season is, and also the pros and cons of playing. 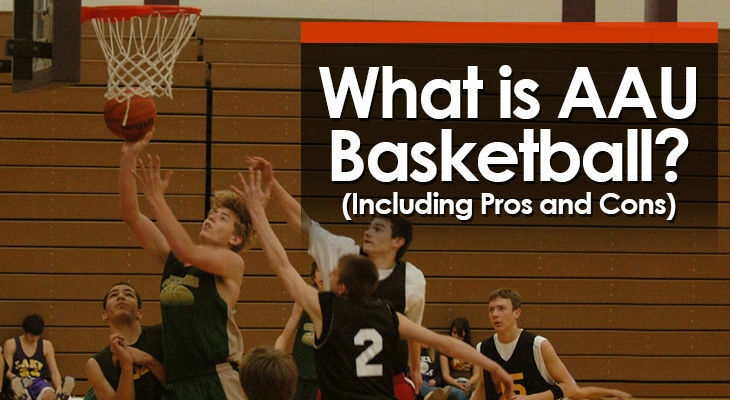 ​What does AAU Stand For? ​Who Can Play AAU Basketball? ​When is the AAU Basketball Season? 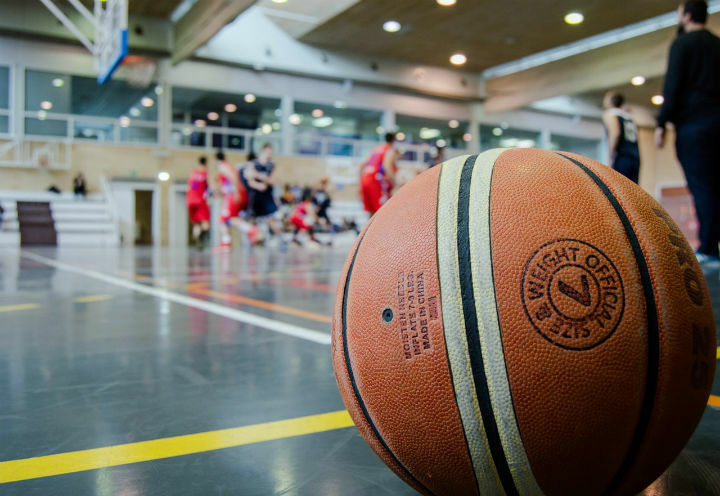 ​Well, Should My Child Play AAU Basketball? What Does AAU Stand For? AAU stands for Amateur Athletic Union, and according to their website, they have been in existence since 1888. The Amateur Athletic Union is a youth sports organization. To put it simply - groups of players get together and form independent teams that compete in AAU tournaments against other teams. Since it was first created, the goal of AAU has been to advance the development of youth sports and physical fitness programs. But since 1970, it has deviated to the growth of youth sports at the fundamental level. It is stated clearly in their vision statement: "To offer amateur athletes and volunteers opportunities to develop to their highest level through a national and local network of sporting events." AAU Basketball is an option for boys and girls. For boys, they can start playing in the 7 and under age group and can compete up until the 12th grade or 19 and under division. For girls, they can start playing when they are in the 2nd grade and can compete up until the 12th grade or 19 and under division. The main stretch of AAU basketball runs from February until July; immediately following the end of the high school basketball season. Although there are still many tournaments played throughout the entire year (including during the high school season). Every age group is offered the opportunity to qualify and compete in the national championship tournaments. These tournaments are what help AAU stand out from the rest of the grassroots basketball scene. AAU basketball gained popularity in the 1980s when Sonny Vaccaro and Phil Knight came together with the goal of spreading the youth basketball movement. By signing AAU coaches and college coaches to shoe contracts, they ensured specific AAU programs and major basketball programs would be wearing their shoes. Eventually, it became less about the basketball and more about the big shoe companies competing over the best players in the country. AAU basketball clubs focused on receiving sponsorships from big shoe companies, like Nike and Adidas, with the goal of attracting elite high school talent. The hope was that by getting these players to compete for a Nike or Adidas sponsored AAU team, they would stick with the company who sponsored their AAU team when it came time for them to sign a shoe contract. This lead to less focus by the coaches on the development of the players during the summer basketball months and more attention on shoe contracts, rankings, and the marketing brand image of the players and clubs. A lot of talented youth players got swept up in this corruption. Some were overhyped as youths and never panned out, others lost eligibility to play in high school or college because of dealings with advisors who provided the player and his family with large sums of money. Other players like Kobe Bryant and LeBron James dealt with the early success as teenagers and catapulted it into legendary basketball careers without allowing the scandalous tendencies of summer basketball to impeded their progress. While AAU basketball programs aren't the only clubs affected by the major shoe companies, the organization has taken the brunt of the blame for the inconsistencies that are a part of the high school and college basketball landscape. There have been several high-profile coaches and players voice their dislike for AAU basketball. In order to reach your potential as a basketball player, you need to be competing against the best teams and players. AAU basketball helps achieve this. It gives players the opportunity to play against better competition they couldn't find if they decided to stay at home and play in local leagues. Being able to compete against top-level talent forces payers to raise their game and also exposes their weaknesses and shows players what they need to work on. But there have been many relatively unknown players who have been discovered at AAU tournaments and then offered a scholarship. AAU basketball provides players with a great chance to showcase their skills against elite competiton in front of hundreds of coaches. For players who don't have college coaches flying to their home town from all over the country to see their elite skills, this can be a big opportunity to miss out on. One of the things I find most troubling is that many coaches are neglecting teaching the basic principles of fundamental basketball. In fact, there are some teams who don't run practices at all. One of the reasons for this is because an AAU team will attempt to recruit the best talent possible, even if the players live far away from each other. While families are more than happy to make the trip for a tournament, setting up team practices is incredibly difficult. And when they do get together, with 3 - 4 games a day during tournaments, there is little time for coaches to work on skills with their team. To add to this point, coaches will see very little apart from full court presses and zone defense during tournaments. Both of these harm youth development but definitely lead to winning more basketball games. AAU basketball is littered with poor coaching. Much of this has to do with the fact that anyone can start an AAU team and appoint themselves the head coach. There are no certifications coaches need or criteria to be met as long as they can recruit a team who are willing to pay for the team to participate. During many AAU tournaments, you'll be forced to witness coaches screaming obscenities at their players instead of teaching them the game. I have no problem with coaches being tough on their players and holding them accountable, but it appears some coaches will yell with little purpose to make their players better. In fact, most of the time it seems like they're only yelling to draw attention to themselves. This is the question everyone wants answered. ​Despite all the negatives that come with AAU basketball, there are definitely players who can benefit from participating. You must find the right team. If you can find the right program, AAU basketball can be a great development opportunity and a rewarding experience. If you end up in a poor program, AAU basketball will be a horrible experience in many different ways. Good Coaching - You want to find a coach who understands the game, has good relationships with all players, and is focused on teaching them how to play basketball the right way. Team Basketball - Make sure you find a team that promotes and plays team basketball. This will often depend on the basketball philosophy of the adult who is coaching the team. Parents and Players - Will you and your child enjoy playing and hanging around with the players and parents on the team? Games vs Practices - You must select an AAU team that has scheduled team practices at least once a week (preferably two). Don't join a team who only gets together on tournament weekends. But on the other hand, players can compete against the best of the best and have a bigger opportunity to get noticed by a coach who may offer them a scholarship in the future. Whether you will have a good or bad experience will come down to selecting the right AAU club. And many of these players grow up participating in AAU. While there are many negatives, the opinion that AAU basketball is killing the development of basketball players is a bit over the top.